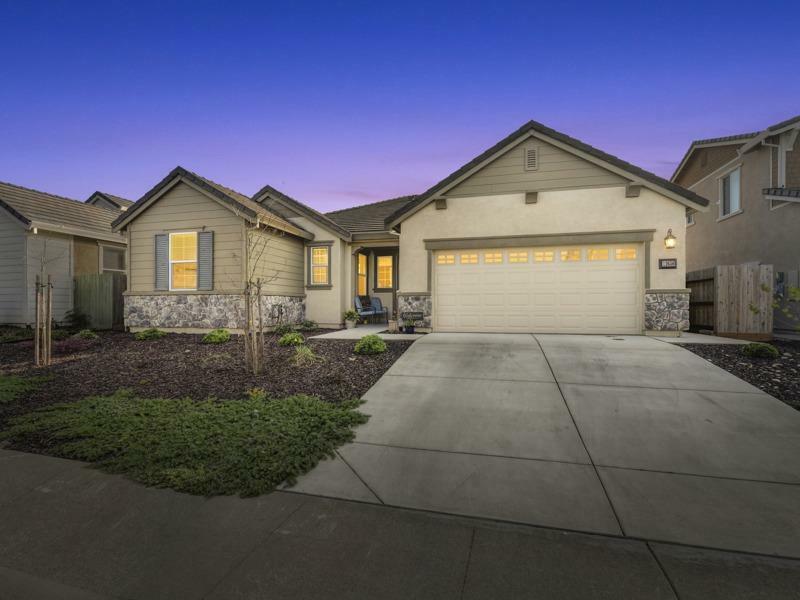 Welcome to this upgraded Bristol plan in the heart of Somerset Ranch. It is ready for the most discerning buyer. The 3 bedroom 2 bath single story home boasts an open kitchen overlooking a great room and professionally landscaped backyard. The lavish Kitchen features a large island with breakfast bar, Quartz counters, a large pantry and ample counter space.The Wood-look tile floors flow nicely through out this well lit opened concept home. The home additionally features a large 4K solar system, and is wired for a security system and surround sound. The solar and irrigation can be monitored remotely. The large laundry/mud room is conveniently located off of the 3 car tandem garage. Hurry and schedule to see this beautiful home!